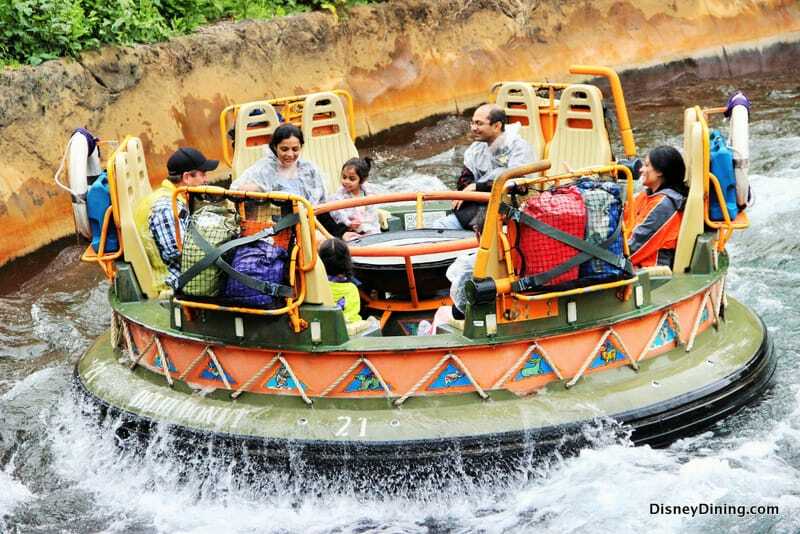 Take an exciting river raft tour of the Chakranadi River in the Asia section of Animal Kingdom. Your outfitter—Kali River Expeditions—has made all the preparations for your swiftly-moving tour down the river. Walk into a wooden pagoda and board a 12-passenger river raft. Then head up a 90-foot slope before skimming across an active geyser and beginning your descent down the mountain along the river. Slosh and splash along the river and even get drenched sometimes by the whitewater rapids! Shoot past majestic waterfalls and even see a part of the rainforest that has been devastated by illegal logging and deforestation. Then hold on tight for a 20-foot plunge down the side of the mountain before heading back to the outfitter’s pagoda. Be sure to get a FastPass+ time to enjoy this attraction so you won’t miss it!